It is widely cited that verbal communication makes up only 7% of a total message during a conversation. That is, 93% percent of the meaning within the conversation comes from outside the words that we use. These non-verbal aspects of communication include gestures, posture, intonation, and facial expressions. It turns out the concrete language is by far the least important factor in our interpretation and understanding of what the other person saying. A similar phenomenon happens in organizations. Consider that the equivalent to verbal communication in organizations are the formal words that come to employees in the form of official documents: values and mission statements, strategy, policies, newsletters, websites, announcements, press releases, and other communication devices. The rest of internal communication comes from everything else employees experience. Similar to a conversation, the vast majority of meaning and understanding is generated by “non-verbal” communication. Employees assess which policies count and which ones are merely guidelines based on how consistently they are enforced. Processes and procedures are generally followed to the extent that they are required. (unless you know who to call to avoid waiting). Rewards in all their forms tell employees how to be successful. Traditional incentive programs signal expectations but may conflict with stated values or even inadvertently motivate a different behavior than what is desired. Furthermore, who gets promoted and what behaviors elicit praise send powerful messages about what is expected. How managers spend resources speaks volumes about what they truly value and prioritize. The decisions they make about how to allocate funds and how they spend their own time demonstrates what they believe will lead to success. (until we need to cut something out of the budget). More than anything, employees look at the behavior modeled by management to see if it matches what is officially communicated. The most influential person in this regard is an employee’s own boss. The attitudes and behaviors displayed by people in authority tell the real story of what is expected. (but not the terrible one you just shared). Employees will rely on “non-verbal” communication to understand what is expected and to decide appropriate action in the midst of uncertainty. 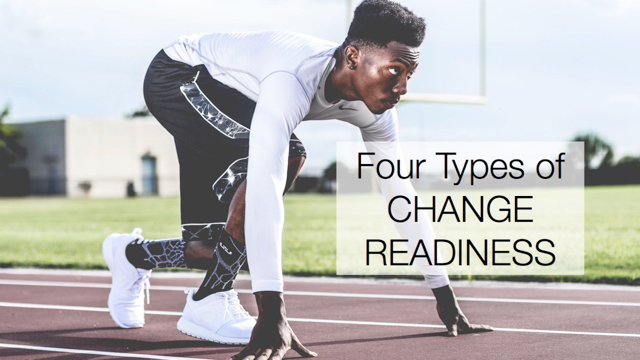 When introduced to news of change, many employees will take the stance, “I’ll believe it when I see it.” It is not enough for them to hear it or read it. It is imperative to monitor your organization’s “non-verbal” communication to ensure that actions and behaviors are consistent with your official change message.